It’s that time of year again. No, we don’t mean the heat waves. Not back to school or pool season either. 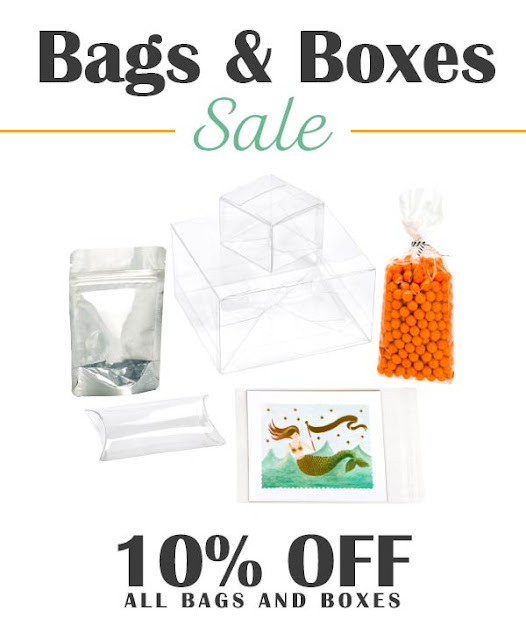 It’s time for our big bags and boxes sale. That’s what everyone loves this time of year, right? Ok, so maybe you haven’t lost sleep waiting for the sale, but that doesn’t change the fact that it’s a great time to stock up on any packaging needs you may have. Big Sale, Lots of Choices - Need help deciding? Give our customer service team a try. We take pride in having a top notch customer service team. They can help you decide what the best packaging options are for your product, answer any questions you might have, and help you complete your order. Call 800-233-2630 (West) or (800) 328-1847 (East) to get some help. Stand up zipper pouches. Retailers love them. Our customers love them. They are a beautiful, effective and economical packaging solution that can be printed on or used stock with a label. Our new matte white and black colors are especially stylish right now. Promotion ends August 31, 2016. Discounts only apply to stock items; they do not apply to clearance or custom products. Promo codes cannot be combined. After a busy June and July, we are taking a little breather. Only two tradeshows this month. Stop by our booth at the following shows to get 10% off your next order and lots of free sample. See you there!